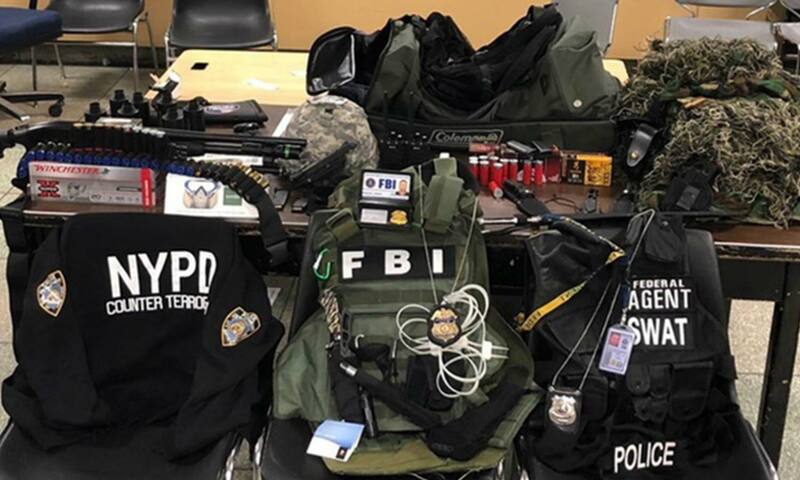 A Queens man faces charges for allegedly stockpiling illegal weapons and fake law enforcement gear inside his Rosedale home, CBS New York reports. Kevin Nugent, 40, was arrested after investigators discovered a .380 Ruger pistol, Mossberg 12-gauge shotgun and hundreds of rounds of ammunition inside his home, the Queens district attorney’s office said. They also found equipment he could use to impersonate law enforcement, like ballistic vests, handcuffs, two-way radios — even different business cards falsely identifying him as part of the New York City Police Department (NYPD), FBI and Bureau of Alcohol, Tobacco, Firearms and Explosives.